Earlier this week, I was featured in an article where agender and non-binary people (not male or female) debunked myths about our identities. I got to share some the everyday challenges I face as a non-binary person in a binary-centric society. I want to use this week’s post to expand on some of these experiences. For most flights, I wear my binder to get through security and then head to the gender-neutral bathroom to take it off before my flight. It’s not the most comfortable thing to wear for hours on a plane, and I tend to start overheating when I wear it for more than four hours. Speaking of airports, why do we have to specify male or female when we buy a plane ticket? I called my airline and asked what a customer should do if they have a non-binary driver’s license. The representative said the TSA checks if your name and birthdate match your ticket. They don’t check your gender. I’m tempted to mark “male” the next time I buy a ticket and see what happens. I only know of one situation where a male was named “Ruth” and it’s a dragon, so it will probably be easy enough to tell TSA I picked the wrong gender if they notice the disparity between my ticket and my driver’s license. I tend to get the most annoyed when I’m on the phone with customer service. They’re trying to be respectful by calling me “ma’am,” and it makes my skin crawl every time I hear it. My desire to get my needs me and finish the call as fast as possible is usually stronger than my desire to tell the representative that I’m non-binary. It’s not as if the company would know my gender the next time I call anyway, so I don’t bother correcting them. I just cringe and finish the call as quickly as I can. 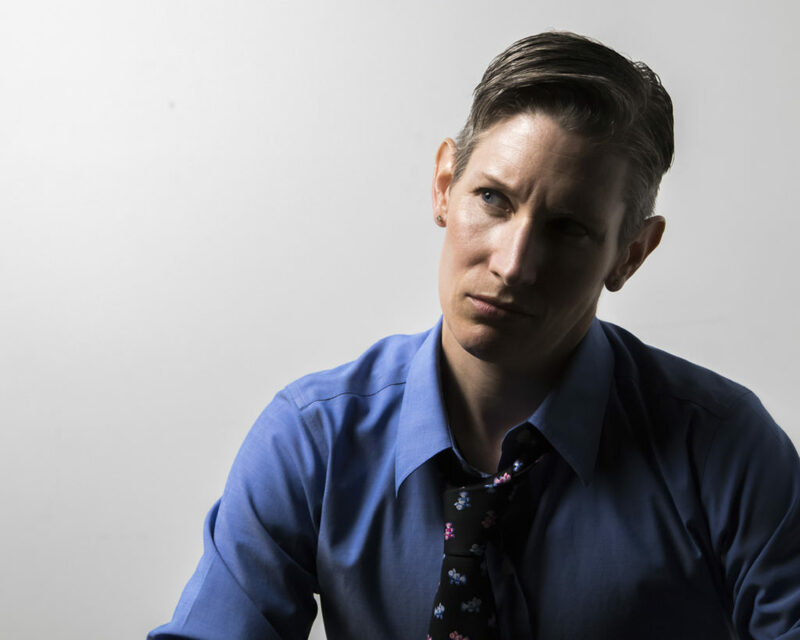 The gender-neutral alternative to Mr. or Miss/Ms./Mrs. is Mx. (pronounced like “mix”). It’s in my email signature so people know what to use, but I’ve never seen “Mx.” on a form. I suspect a lot of people don’t know about it. For the State Bar, I tried to change my first name in their listing from “Ruth” to “Mx. Ruth,” so when someone looked me up, it would say “Mx. Ruth Carter.” I got a call within minutes of making that change on my State Bar profile from a representative who understood what I was trying to do, but who said I couldn’t change my name on their website like that. Frequently, I send it to people who don’t “get it” when someone says they’re non-binary. I appreciate that they say it’s ok to be confused. If you have any questions about my experiences as a non-binary person, I’m happy to answer them, as long as you ask respectfully.